A couple months ago I noticed that my bikini area was becoming irritated from shaving. I was experiencing shave bumps and sensitivity in that area. Due to these issues, I decided to give waxing a try. I started doing my research on the best way to go about waxing at home. I just don’t have the money to afford to have a professional do the waxing for me. 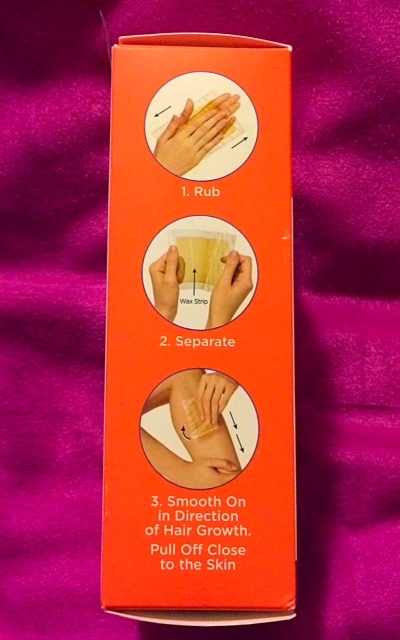 I found a few sites suggesting wax strips to keep things simple because I was new to the waxing game. 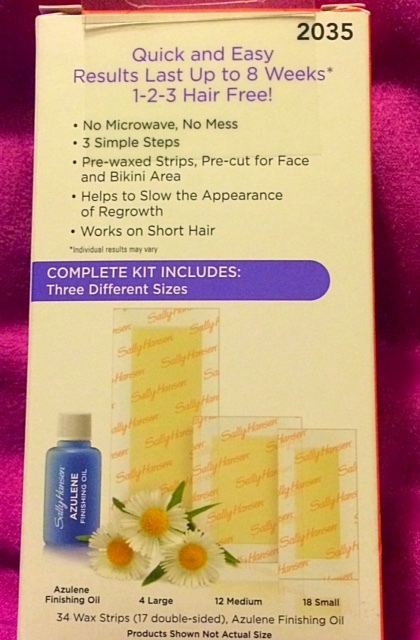 While out shopping for other personal hygiene products I came across the Sally Hansen: Hair Remover Wax Strip Kit. The kit I picked says that it’s meant to remove hair from the eyebrows, face, and bikini area. Perfect! That was exactly what I needed. I tossed the product in my cart and went on my way. A few days later I decided it was time to give the kit a try. I read through all the instructions three times. After making sure I knew all the correct steps I attempted to use a strip on the left side of my bikini area. Ouch doesn’t begin to explain it. I was able to pull the strip off in one go, but the wax and hair remained on my skin. Luckily I had the Azulene Finishing Oil to get the wax off safely. I couldn’t figure out what I did wrong. I was sure I followed ALL of the instructions. Wanting to make sure I didn’t just miss a step I attempted to wax the right side of my bikini line. No luck. I have some experience with this type of product. I’ve used wax strips before on my eyebrows. That is why I gave the Sally Hansen wax strips another try when it came time to wax my eyebrows. Once again I was stuck removing wax from my skin and hair. In conclusion, I’m not sure what the problem was. I’ve come up with three possible reasons. The first being my hair type. As an African-American woman, my hair is naturally thick and coarse. The second possible reason could’ve been that I didn’t manage to apply enough heat to the strip. I have no way of knowing whether this is due to my own personal error or a design flaw. That brings me to my last possible reason for failure: The product simply doesn’t work. This reason upsets me slightly because I normally have great experiences with Sally Hansen products. 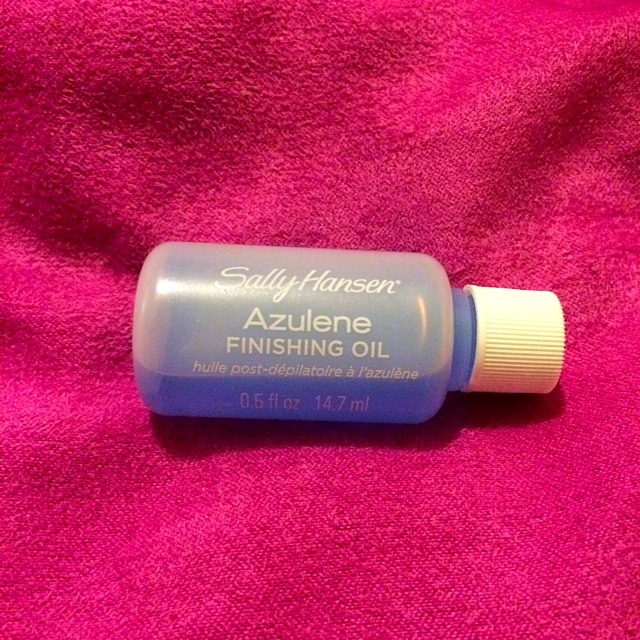 This bad experience didn’t make me like Sally Hansen any less. I’m just a little upset about having to massage wax off of my slightly irritated skin.